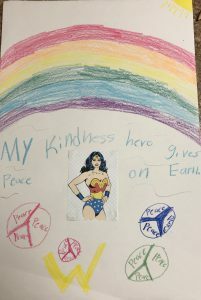 As she sat creating her kindness challenge poster with rainbows, peace signs, and wonder woman in the center, a tune was sung over and over again. She made up this song because she was so happy and filled with joy. To know Kelsey is to love Kelsey. Though she selected Wonder Woman as her kindness hero this year, she continues to be ours. May you have a sunny day today. Artistic talent and creativity are two gifts I admire. When those two gifts are combined with thoughtfulness and kindness, the possibilities are endless. 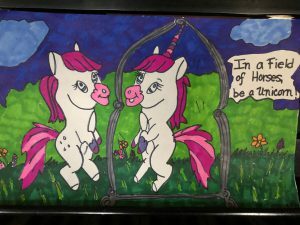 A caring colleague saw Kelsey’s take on the phrase that matches her spirit animal, Uni, last week: in a field of horses, be a unicorn. She took it upon herself to create the above image for Kelsey. I was beyond touched by the gesture and the beautiful image that now captures Kelsey’s new catchphrase. Kind and caring individuals surround us every day. I am grateful to work in such dedicated and sweet community. Thank you for depicting Kelsey’s image, inspiring her artistic talents, and reminding her that prayers and thoughts extend beyond her imagination and her dreams. We will frame this and hang in a location of Kelsey’s choice. September has been a month full of surprises and adventures. First grade for Kelsey, a new school for her brother, and challenges at many turns. Kelsey’s dad coaches her brother’s team and I coach her team. Amidst new jobs and responsibilities, some days we wonder what we signed up for and why. Then Saturday, September 30th rolls around. It was a day that reminded you fall is truly in the air. The day was full of energy, emotion, and ease because the Britto agency did the hard work! They organized a softball tournament on behalf of Kelsey’s Kaleidoscope, Inc. and our old-aged team showed up (median age of 60!). Though most of us who volunteered to play had trouble walking when we left, the truth is that the generosity, a sincere sense of family, and absolute gratitude extends far beyond the field. Twelve teams gathered at Pennypack Park on the Delaware this past Saturday to show off their softball skills and get the W. We barely came up with a team, but we brought heart and gratitude. We left with new friends, a renewal of former connections, and a true sense of what is right in the world. It was truly a gift considering several of the weekend happenings. We also left (as any charity event on our behalf seems to do) feeling the sense of reality and urgency of genetic, orphan diseases. If you could have seen Kelsey, the picture of health dancing to Despacito, Can’t Stop the Feeling, and some other Pitbulf favorites. She was just as any other six year old should be. As my husband so eloquently spoke, 90% of the time, Kelsey is joyful beyond words and the life of the party. The other 10% is the difficult and hidden part that haunts us. The Wednesday morning needle that keeps her from feeling her pain, the visits, the scans, and the unknown that keep her family members up at night. The why and the worry of an invisible, vascular disease that we fear will take over at any moment. Those are the moments unseen, but those moments help us spread awareness, build connections, and continue to ask for your help in our cause. No child or family should endure the pain and ailment of a child. This weekend, The Britto Agency recognized this even more and certainly made her family feel welcome and full of gratitude. The $9000+ raised in total is unbelievable. We are forever grateful to all of you who played a role, large or small. We thank you for your commitment, your generosity, and your support! First Grade terrain: kindness, courage, and curiosity. Those three elements seem to be the keys to success. New learning can be found at every turn and understanding is essential. As I sat in Kelsey’s first grade chair and stared around the room at the other parents, I could not help but think – Kelsey, you got this. For all that you have endured and all you dream to do – Kelsey, you got this. Math facts may seem troubling and language may be puzzling, but Kelsey, you got this! Restrictions may be come and go, but strength and hope will be there to assure that you have all you need – Kelsey, you got this. As the other parents wondered about report cards and reading levels, I took the room in carefully – Kelsey, you got this. It was full of energy, bright colors, and excitement if you ask me. I smiled and I thought once more, Kelsey, you got this. Stay strong, stay positive, and smile every day- Kelsey, you got this.. I am so proud of the curious young woman you grow into every day. The one whose kindness, enthusiasm, and courage reminds me to strong – Kelsey, you got this. 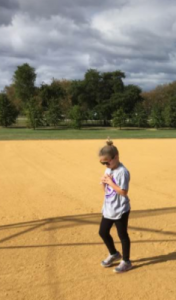 First Grade terrain: kindness, courage, and curiosity – Kelsey, you got them. Perhaps it extends beyond first grade classrooms. Perhaps they are the keys to success for us all. Today, I encourage you to be all three with respect and patience for all you encounter. Author New View for PANPosted on September 13, 2017 Tags #newviewforpan, curiosity, kindnessLeave a comment on You Got This! We recently attended a huge egg hunt with a myriad of kids and parents. It is an annual tradition and we usually have a blast. This year, a variety of circumstances changed and as a result, so did the hunt. 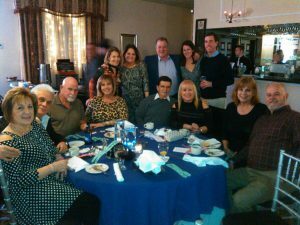 This fun-filled tradition ended up being full of life lessons rather than laughter. That leads us right to the rules of life and the lessons learned from the egg hunt. Rule 1: Life happens. Be early or on time. We made it with only a few minutes to spare. Traffic happens, life happens. Be ready, but be on time. The early bird does get the worm. Those minutes to spare put us far back in the line-up. However, I taught my children to be polite and wait their turn. When the bell rang to initiate the hunt, all of the children would all be in the same place. “Just be patient and wait your turn,” I reminded them. My two children did just that. They were so excited. Rule 2: Everyone does not follow the rules. Do not let a poor example ruin your day. One minute before the bell rang, a parent not only placed herself in front of my children, but also moved her children in front of mine as well. What was I to do? Decisions decisions… It was a trying moment for me (to say the least), and I had many phrases in my head that I did not want my children to hear me say. It was a moment to display self-control. I took a deep breathe and loudly stated my apologies that not everyone in life plays by the rules (as steam was likely coming off of my scalp)! I smiled and told them to have fun! Rule 3: Be your own advocate and speak up when necessary. Seconds later, the bell rang. That woman was a steady blockade to both of my children and unfortunately the crowd had no other holes for my children to sneak through. I had to step in at that point, politely excuse my children, and get them into the hunt! My children were watching my every move carefully, and I had to decisively think through my every word and action. Rule 4: You can’t always get what you want. Minutes later, the hunt was over. My son was easy to spot. He had very few eggs but wore a smile anyway. My Kelsey was harder to locate because she was persistent and still on a mission to find a single egg to call her own. Kelsey came out of the hunt completely empty handed. I was certainly rethinking my earlier patience, but also reminded myself that this was a teachable moment. Rule 5: Your family will always be there when you need them. Consequently, those minutes and my patience cost Kelsey her eggs this year. Her will was strong and her determination fierce, but with an empty basket, all she could do was run to me for a secure embrace. I could not come up with an egg. They were gone within two minutes. I could only share the hug and tell her that there would be many more fruitful egg hunts in her future. There will be. I know that. With that came her brother to offer her a few eggs of his own. He only had 6. It was a rather precious moment. I may have allowed a mom to block my children, but I also had a few tears of pride when my son shared his eggs. A brother was there for his sister. I must be doing something right. Rule 6: Sometimes, a kind gesture happens when you least expect it. At that precise moment (I kid you not), the same woman who blocked my children walked by with the largest basket around. It was overflowing with eggs… Boy was it hard to hold my tongue then and there. So I instead looked the other way, literally. It was all I could do to remain calm. What I saw when I chose to look at the situation differently was an entirely different perspective. I saw a very thoughtful parent and sibling pair approaching my emotionally charged scene. Her children had baskets with plenty of eggs, and I guess she watched our dramatic finish because her children offered some of their eggs to mine. When one door closes, another one usually does open and the results are usually worth it. Almost exactly one year ago, my mother convinced me that silence was not the answer. With the help and guidance of dear family members, Kelsey’s Kaleidoscope, Inc.:A New View for PAN was born. Part of me feared the perception my family would receive after we revealed the rare disease in our home. Part of me feared that people would look at Kelsey differently because she has a rare disease. The funny thing is, if anything, people are more kind and generous than I ever could have dreamed. Last week, the ten-year-old student who joined forces with his family collected $300 at his stand. He stood in a crowded room full of parents, families, and students who were there to understand the world of business: how to create a business model and successfully see it through. As I looked around the variety of business models and concepts, they were very similar in every single way. Only one had a group of family members adorned in pink, a band of bubble-gum goodness. Selfless, sweet, and kind. Only one student that night showed the world that his family raised him to give back, expand his horizons, and fight for what he believes he has the power to change. He did not make a single penny for himself or his time, but he was beaming with pride from ear to ear. That $300 is going towards a cause far greater he can likely imagine. We have had some exciting happenings over the past few weeks. Soon, we will embark on our mission to find the cure. Every single penny earned and piece of bubble gum sold will go towards finding that cure. What started one year ago as a dream is turning into reality. If not for my mother supporting me and urging me to speak about the fight I was only living inside, we would not be on our way to finding a cure. Today, the kindness, the generosity, and the selfless acts of others have helped us begin that mission. When a ten-year-old young man “gets” it, you can not help but get choked up inside. Courage has the power to heal and change lives. A ten-year-old and his family showed me how much good there is in the world around us. Sometimes, we have to open our eyes a little bit wider to see it. This evening, soon after injecting the second medication of the day, we will smile and walk around a local “market.” This market is a school project for future business entrepreneurs to reveal a business plan and “sell” a variety of products to reflect their business model. It is a fabulous learning experience. However, there is much more to this market for my family. 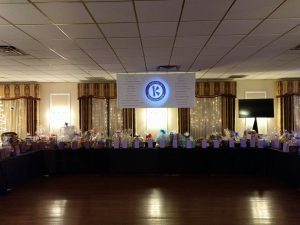 About a month ago, one of Kelsey’s teacher reached out to me regarding this event. 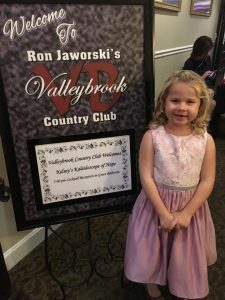 She wanted to let me know that her ten-year-old son would be participating in this event and donating ALL of his proceeds to Kelsey’s Kaleidoscope, Inc. Maybe it is not the best business model, but it certainly a child who understands compassion, charity, and community. Touched. Grateful. Overwhelmed by kindness. The tumultuous nature of the past few months has also created a natural break in fundraising. However, my heart melts to know that a ten year old young man did not stop thinking. This incredibly generous ten-year-old boy has never even met Kelsey. To Kelsey’s teacher for sharing Kelsey’s illness with her family and raising a young man who would think more of someone else than of himself, thank you. To a young entrepreneur who took it upon himself to bring a bit of sunshine into the sunshine of our lives, thank you. 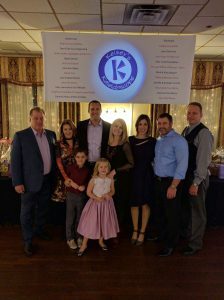 If you happen to stop by the event this evening and inquire about Kelsey’s Kaleidoscope, Inc, thank you. It is the support and the spirit-lift from those around us that keeps us strong even when we feel that we are hanging on by a thread. The sleepless nights, the relationship stress, the avoidance of public settings and birthday parties due to the vast array of germs, and everything else good and bad that January has been comes to an end this morning as the sun rises to February. This month looks hopeful and bright already. Every night at dinner, we talk about two things: our favorite part of the day and our greatest challenge of the day. Sometimes we laugh together, sometimes we problem solve, and sometimes we talk about a better way that we could have handled the situation. This is a part of every night that I treasure. At the dinner table last night, Kelsey shared that she had a “special announcement” to make. “Here we go,” I think. “I have learned that the world can be beautiful and full of happiness or it can be mean and cold.” Her father and I looked at each other without really knowing how to respond. “How at five years old has this been on her mind lately?” you may wonder at first. Then you think back over the past few months that she has endured: a hospital stay, four emergency room visits, weeks missed of dancing school, days missed of Kindergarten, an emergency visit to the NIH, steroids, a more potent medicine, a daily injection to better manage her pain, and the giant red patches that itch her and hide under her sleeves and her pants as a reminder of that daily torture. You think about the wonderful moments of the past month alone, including: singing Christmas carols, Santa Claus coming to town, a holiday show, family time, snuggling with her puppy, baking cookies, making ornaments, and watching holiday movies. Painful and joyous simultaneously. Her announcement gave me all of the perspective I needed to end the day (and 2016 for that matter) with a smile. Here’s to hoping that 2017 is filled with far more beauty and much less pain for my beautiful daughter.